So, you want to be a beardo? When it comes to beards, there are two types of men in the world, those with good beards and those without. Some men have been given the gift of a naturally full and beautiful beard while others need some assistance in maximizing their beard growth. No matter what your #beardgoals might be, look no further for the best in beard growth, beard styles, and finding the best beard types for your face. A good beard starts with more than just good genes. Beard growth can take months and does not occur overnight. Beard styling is a skill that takes time and changes with you over time. If you’ve been styling your beard the same way for the past five years and are quite comfortable with your look, it might be time to switch it up! Is your patchy beard driving you crazy? With a thousand different beard types, it’s important to break down the beard growth process in a way that is easy to understand, scientifically proven and result-driven. Having a good beard starts with you. Good personal hygiene, such as a regular skin care routine, can help you avoid ingrown hairs. Keeping your skin flake-free means that your beard can come in that much softer and fuller. Think about it this way, testosterone spurs beard growth. Do not participate in activities that lower your testosterone; remember to de-stress. Get a lot of sleep, eat a balanced diet (especially once with protein, healthy fats, and lots of water) and your beard will come in beautifully. Styling your beard is not as hard as you think it is. 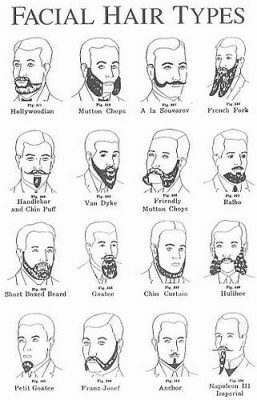 In order for you to find the best type of beard, it is important to know what kind of face you have. If you have tried on sunglasses or glasses, the idea of face type is not new to you. If you are lost on what type of beard you should have, look no further. Think about your face types. What does that mean? Simple. Go find a mirror and look at yourself. Imagine tracing an outline of your face in the mirror. There are three strong types of faces – circular, oval, or heart shaped. All depending on what type of face you have think about how you want to style your beard or what type of beard you would like to have. Do you want a long beard? If you have a long oval shaped face, a long beard may not be the best look for you. Consider a clean, trimmed beard if you have a heart shaped face. Your beard will accent your cheekbones and eyes. Once you have found a style of beard that works for you, get into a routine. Beard styles are not as hard as people think and it is actually a huge part of keeping your beard healthy. To grow your beard out you will need a vision – what kind of beard do you want? Are you going to grow out a soft beard or do you want to grow out a large, full beard? Styling your beard can be based off the way that your face is shaped or off the style of clothing that you prefer to wear. Beard growth and personal growth are basically the same thing. Remember to brush your beard just as you would with your hair and use beard oil to keep it soft and supple.look no further. 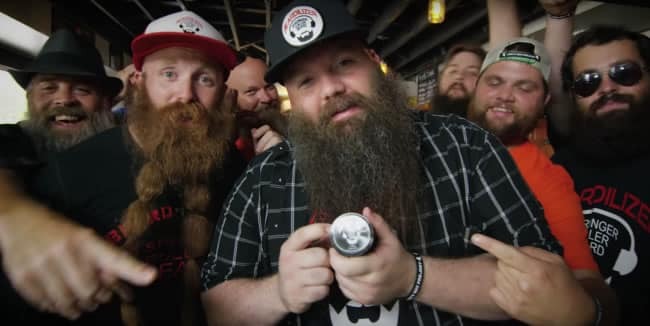 There’s so much more to bearding than to simply “not shave.” Just take a look at the list of categories/styles judged at the World Beard & Moustache Championships, and you’ll begin to realize just how diverse the beard world can be. Because we’re all about big, full beards here at Beardilizer, we will be focusing specifically on various full beard types here. Keep in mind, there are countless options when choosing a facial hair syle, but we’ve chosen a few that we feel especially embody the beardo esthetic. To begin, we have the natural full beard — man’s facial hair as God intended. Only very minimally styled or trimmed, the natural full beard is one that flows freely without being sculpted or shaped in any particular way. Next, we have the full beard with styled moustache. In addition to growing out your glorious full beard, you can also consider styling your moustache in many different ways. There are many to choose from, including the Dali, Hungarian and Imperial ‘staches! Perhaps most majestic of all is the freestyle full beard. Unlike the natural full beard, a freestyle full beard, you can really let out your inner beardo by sculpting your facial topiary into an eight-legged octopus, a bodacious wave or whatever else your mind can come up with. All it takes is some creativity and some beard wax. No list of beardo styles would be complete without mutton chops! Sideburns on steroids connected via chin hair or a mustache, it take a particular type of beardo to join the chop squad. 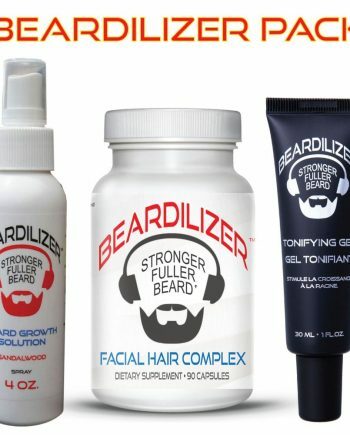 Maybe you want to evoke the days of old or happen to grow retractable claws out of your adamantium skeleton; regardless, we applaud you for taking this bold step toward becoming a beardo. Of course, in order to be a beardo, you have to be able to grow a beard. For many, that’s not a problem, but for some, it just isn’t in the cards thanks to the hand dealt to them by genetics. 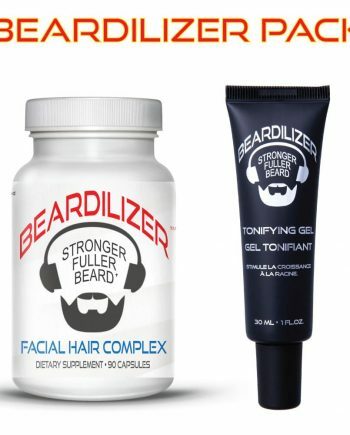 The good news is that anyone with any type of facial hair, from the fullest beard to the patchiest scruff, can benefit from following the tips below and taking our exclusive beard growth supplements that truly work! One easy way to boost your beard growth so you can work on finding that perfect way to style your beard is to de-stress. De-stressing is so simple. Even if you are taking care of yourself but you are not sleeping enough or you are busy at work things like that can affect your beard growth. Beard growth is just like hair growth. The human body is funny thing as stress levels increase, testosterone levels decrease and dramatically so. Keep those t levels elevated and you will be okay. De-stress in a way that works for you, even if that means getting a facial so that you and your beard can enjoy a nice facial massage. There are over the counter solutions to help you with patchy beard growth if things are not coming in; think about products that are marked towards avoiding or stimulating hair growth on the scalp. There is no shame in getting a little extra help. If you are concerned that your beard is not growing in, as you want it to or that it is patchy, do not give up. A lot of information on the Internet says that patchy beards are genetic and that you cannot avoid them. 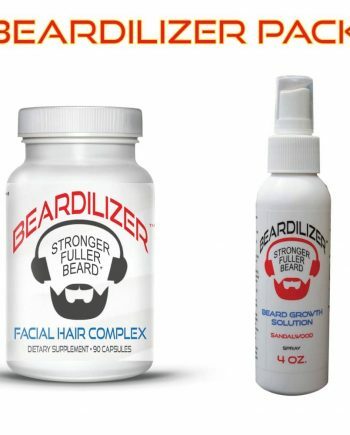 Between taking a supplement, like Beardilizer, and an over the counter hair growth stimulation product your beard growth will be a total success in due time. Beard growth is not as simple as waking up and telling your beard to grow. 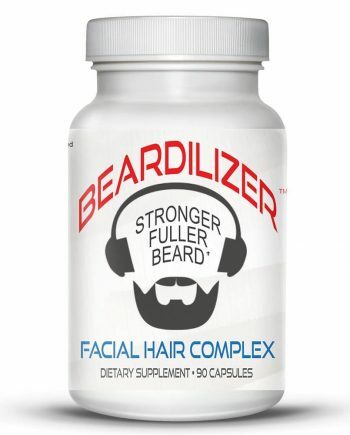 If you’re trying to encourage growth, think about what you can do to work with your beard type and how supplement that growth by adding helpful products and making small changes to your routine. A new style of beard might be better suited for you if you are looking to make waves in your appearance. Hair is produced by testosterone; the manliest of all hormones. Doing manly, testosterone-building activities like chopping wood go to the gym, eating a delicious steak, or meditating does nothing but make it easier for your beard to grow and for you to be able to style your beard with ease. If you are worried about your beard not being your ideal beard type, do not freak out. There are many different types of beards. Some people have thicker hair than others do; it is genetic, after all. There are ways for you to work with your beard. Beard types are not reliant solely on what sort of facial hair you have. Finding a beard that is most flattering for you goes hand in hand with knowing the type of beard that you have. Growing out a sensational beard is not easy work. 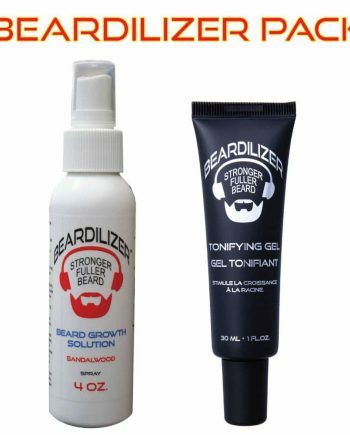 There are a slow of websites that offer solutions or tips on how to grow out your beard and how to style it; Beardilizer wants to make it easy for your – we want to put all of your beard growth tips in one site. Beard styles questions? One click away. 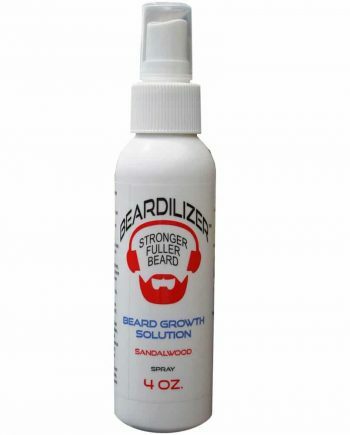 Finding the best way to help grow and style your beard is the Beardilizer guarantee.